At our Jackson Hyundai dealership, our goal is to please our customers above all. Whether it be when you’re looking for a new or used Hyundai, figuring out how to finance your new vehicle, or when you’re getting your car fixed up through our service center, our staff is eager to make sure drivers receive the best experience at our dealership as possible. We strive to deliver experiences that exceed our customers’ expectations, because we know it’s not just about the sale. We want to create a great on the road experience for everyone. At Wilson Hyundai, we pride ourselves on having open and honest communication with our customers; our team of professionals will never steer you wrong or give you misleading information in order to make a sale. As a result, we expect our customers to be just as direct with us about what they want and need in their driving experiences. Whether it be finding the right Hyundai accessories for our customer’s unique Hyundai, or choosing between a midsize or compact Hyundai model, we will offer Jackson drivers our extensive knowledge of all things automotive once they inform us of what they need. In order for our local drivers to receive the best customer service possible, we would love for our customers to offer feedback about their experiences at our dealership. We can’t know what’s working and what’s not unless we learn what our customers need. A review of our dealership helps you and other drivers down the road! 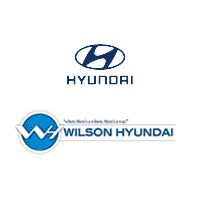 For more information on our Hyundai dealership, contact us at Wilson Hyundai today! Asia is a great salesperson and a very patience person. . I had a great first-time buyer experience with Wilson, Renier was very helpful and knowledgeable about the vehicle I was interested in. I will definitely be back! Renier Stiglingh handles all of our fleet purchases for our company's Field Supervisors, which consist of 60-65 Sonatas. Renier has done an exemplary job at servicing our needs as a growing company and maintaining what we feel like is a solid trusting relationship. He is always on top of our needs and makes sure that we feel like his number one priority! Thanks Renier!! What a great experience buying our first NEW car! Huge shout out to Renier. Thank you for your patience and helping us find exactly what we wanted in the 2019 Sonata Sport. My fiancé and I could not have asked for anything better. The whole process was top notch!